Promote your food blog / food website at our Facebook page with over 1 Million followers. Each single recipe will post on different date. We cannot post more than one recipe from same Author in single day. Compare with Facebook Ads Charges for each post. Your recipes will be set in queue with other food bloggers posts. Total 10 free posts limit. If 10 post in single month then monthly posts reach will be between 100,000 to 300,000. Queue Posting between Elite Members. We will post your recipes more frequently. Approx 10 to 30 posts every month depends on available slot between Elite members. If 10 posts in month then reach will be between 100,000 to 3,000,000. You can calculate based on monthly reach. Get more traffic to your Youtube Channel. Engage with new fans, get new likes & comments. 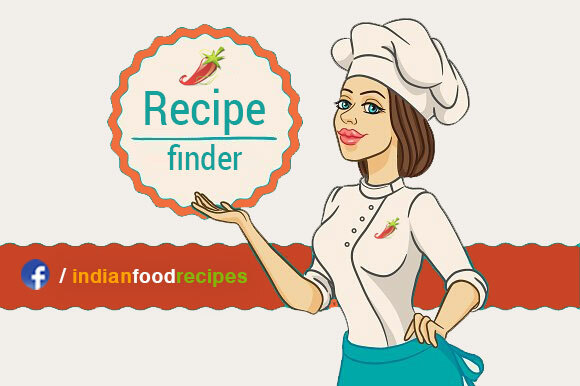 At Indian Food Recipes – food bloggers, food enthusiast and food lovers can freely discuss about new recipes. Embed your youtube video in your food blog. We will promote your food blog for free. (If you don't have food blog, then you can create food blog for free for your youtube channel. Visit link below to go to food blog page to create your food blog. Promote short preview video of your recipe. For full recipe, visitor will visit your youtube channel. We keep promotion video in our facebook page for min. 3 months but can be remain for longer period. It depends on recipe video content and quality. We help you reach the food blogging community, our viewers, Popular internet chefs . Promote your product with new offers, coupons, and discount. Our marketing specialist would love to guide you about how to grab attention of the audience on social media platform. We can also work with exclusive promotion planning of your product and brand and engage our audience to share their comments and reviews to make your message reach a larger audience on a personal level. We develop Recipes Videos at very affordable price for Youtube Food Channels and Food Bloggers facebook pages. Multilanguage Videos in English, Hindi & Bengali. Full HD output with maximum Video quality. We help people locate the best Restaurant. We evaluate a restaurant, based on 10 parameter. Once our review is done, we present the restaurant owner with an Authentic Review Certificate stamped from Indian Food Recipes.net. We publish their full review with picture and a short video of their Restaurant, on our website as well as on our social media platform which in turn gives them genuine publicity and a lot of audience globally.